Get Workers Comp Coverage From Nations Builders Insurance. Nations Builders Insurance is a national insurance carrier specializing in all lines of coverage for crane and rigging operations as well as specialized transportation including machinery movers and heavy equipment haulers. Lines include workers compensation, physical damage, truckers liability, custom cargo, inland marine, general liability, and excess umbrella coverage. Nations Builders Insurance is a niche carrier target very specific types of risk including crane and rigging companies and heavy equipment haulers. They provide ongoing expertise to their insured's and are fully compliant and knowledgeable on all related OSHA regulations and rules for these types of risks. Our agency works with Nations Builders Insurance throughout the United States to provide workers compensation quotes and other lines of insurance to specialized transportation companies and crane and rigging operations. 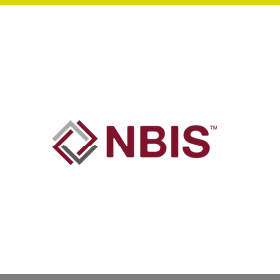 NBIS offers highly competitive rates on related class codes and provides an high level of "hands on" assistance with safety and compliance. Nations Builders Insurance is a premier workers compensation carrier. Start a free Nations Builders Insurance quote today. Workers comp coverage is available in al U.S. states except ND, NY, OH, WA, and WY. At Workers Compensation Shop.com, we work with Nations Builders Insurance Company and other national insurance companies to help business owners find less expensive rates and better coverage for their workman's compensation insurance. Get started online with quotes from Nations Builders Insurance Company and some of our other insurance partners. Or give us a call today at 888-611-7467 to find out if one of our Specialist can help save you money on insurance.